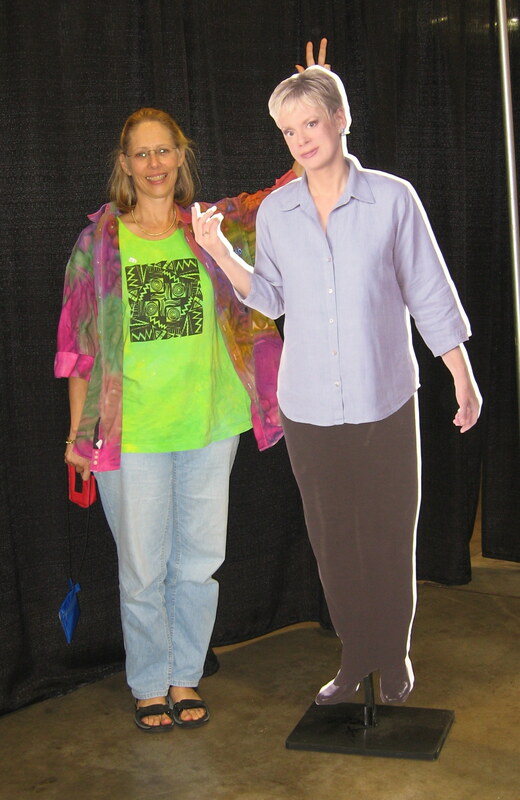 It seams unlikely but I have been lucky enough to work with Nancy Zieman on several occasions. Laura W and I have been on her TV show for two different series. We have a book and DVD produced by her company that I am very proud of it. 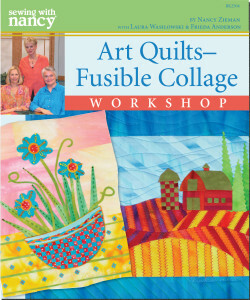 It is a fabulous book, like all of the products that Nancy produces. I have come to consider her and her crew as FRIENDS. A rare thing in this busy world. Laura and I have been featured presenters at the Quilt Expo in Madison and at Nancy’s Notions in Beaver Dam, WI. 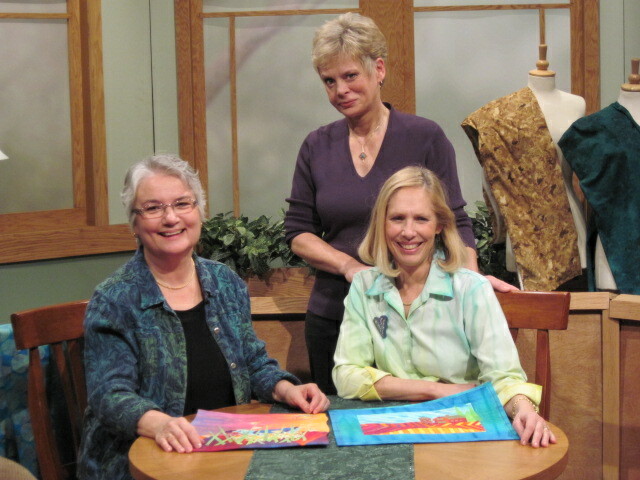 Laura and I have taught at the Quilt Expo in Madison, and loved it, and are always treated so well and happy to be there. This too is a real gift. I have told people all over the world how much I admire and LIKE Nancy Zieman. She is the real deal, a decent, honest, seriously NICE person. She definitely has the will to succeed, not just for her products or even her educational instruction, but also in life. And her book tells it all so beautifully. Reading Nancy’s life story is inspiring and interesting. I found that we had so much in common. I was in 4-H – just like Nancy. I grew up in the area where she had her first job. I go around giving “seminars” on quilting – just like Nancy did in sewing. I have my own TV show – oops not yet. No wonder that I like her so much. Would you like to receive your own copy of Seams Unlikely? I received an additional copy to give away to one lucky reader of my blog. Simply become a follower and leave a comment about someone who inspired you for your chance to win (US residents only, please). I’ll draw a name at the end of this blog tour on February 18th, so be sure that you’re settings include the ability for me to reply/contact you! I am a follower of your blog through Feedly. 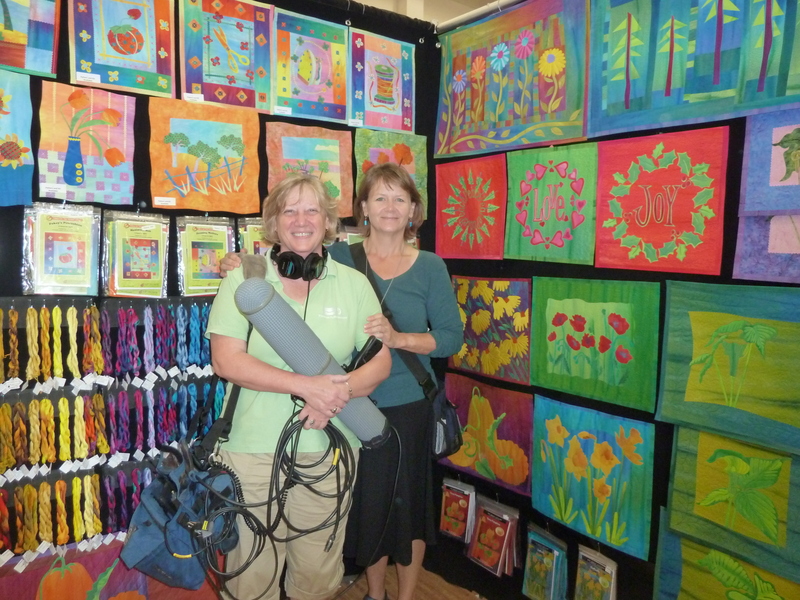 I am inspired by my sister, Charli Fulton, who is also my quilt mentor. And now that we’re both retired we can Skype daily to see each other’s work. I am a follower. My inspiration in the quilting world was Eleanor Burns whose series on a Xmas quilt which I watched during my daughter’ s chemo treatments taught me how to quilt and match up those seams. 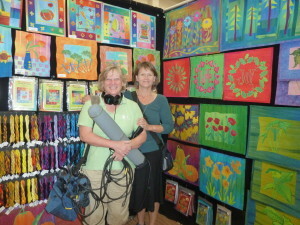 I’m forever greatful to her and told her so when I took a class from her during my guild’ s quilt show. Am a beginner quilter. Will miss this blog tour when it’s over. Been so much fun to read and connect with the different blogs. 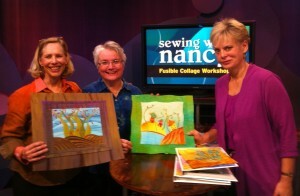 Nancy always knows how to inspire those of us who love to sew. I follow your blog through Bloglovin’. I, too, admire Nancy Z. and watch her shows whenever I can. My sewing inspiration came grom a well~loved neighbor from my childhood who would travel to New York City to see the latest fashions, come home and recreate them in her sewing room. She had a dressform that I thought was terribly cool in the 50s. Glad to tell you that Mrs. P as we called her is about to celebrate her 100th birthday and still dresses up for dinner every night. Love your work….but in reality I’ve been inspired by all quilters ..love all of them I like traditional ..applique…crazy quilts ….and art quilts….have learned from all of them….. I took a class from you at the Jacksonville Quilt Show, Freida, back about 5 years ago, and have been a follower ever since. Your blogs are encouraging, instructive and fun. You do inspire me. Also, years ago when I sewed only clothing and home décor, Nancy Zieman’s shows always inspired me to try new techniques. Thank you to you both. One day you will have your tv show, I hope! Nice post. I used to be checking continuously this blog and I am impressed! Very helpful information specially the last section 🙂 I take care of such info a lot. I was seeking this certain information for a very long time. Thank you and good luck.